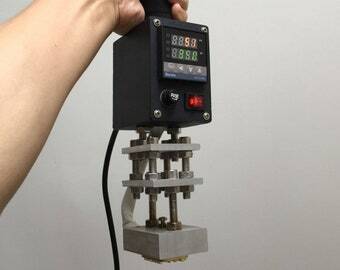 This is a small press machine net weight only 5kg. 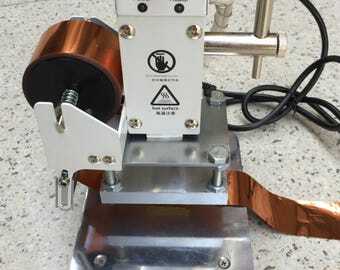 We have 110V and 220V,easy to use,we will send a conversion plug it can fit your country.can be adjust the temperature 50°C~350°C,it can work gold foil on leather or paper,no any heat iron can work foil,must use the heat press machine. 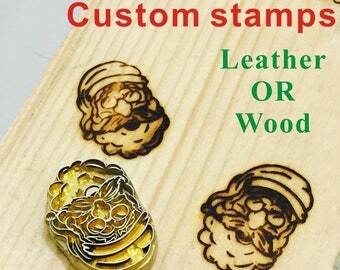 The machine can work size 8cm×10cm of the stamps onto leather and burn for wood very well. Just send me your design and let us the size,the .ai or .pdf .eps format would be best for us if you have,just send to my email:jensenyang08@hotmail.com or you can send me the images. We will ready to ship in 3-5 days,the price not included the customs if your country need a tariff about this machine. Very easy to change the stamps,just use a screw. 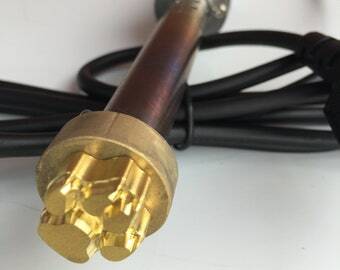 we will provide a warranty for half a year for the heating accessories. 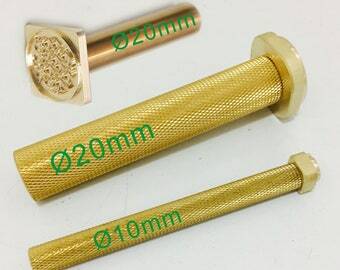 We are professional and we will provide professional service for you.our products are all precise and delicate; we promise a fast delivery to you. Time will prove everything. Looking forward to hear form you,feel free to contact us if you have any questions. Foil.Gold foil.Silver foil work on leather and paper. 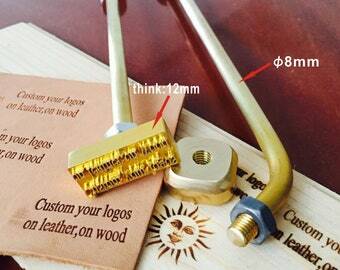 Express DHL** Leather stamp Custom stamp Leather tools Custom logo Wood stamp Wood tools Wood brand Leather brand Leather DIY Leather gift. Very Professional! Job well done. Well made, efficient worker, easy to work with for custom orders, very pleased! If you have any questions, need suggestions or guidance, feel free to contact us. 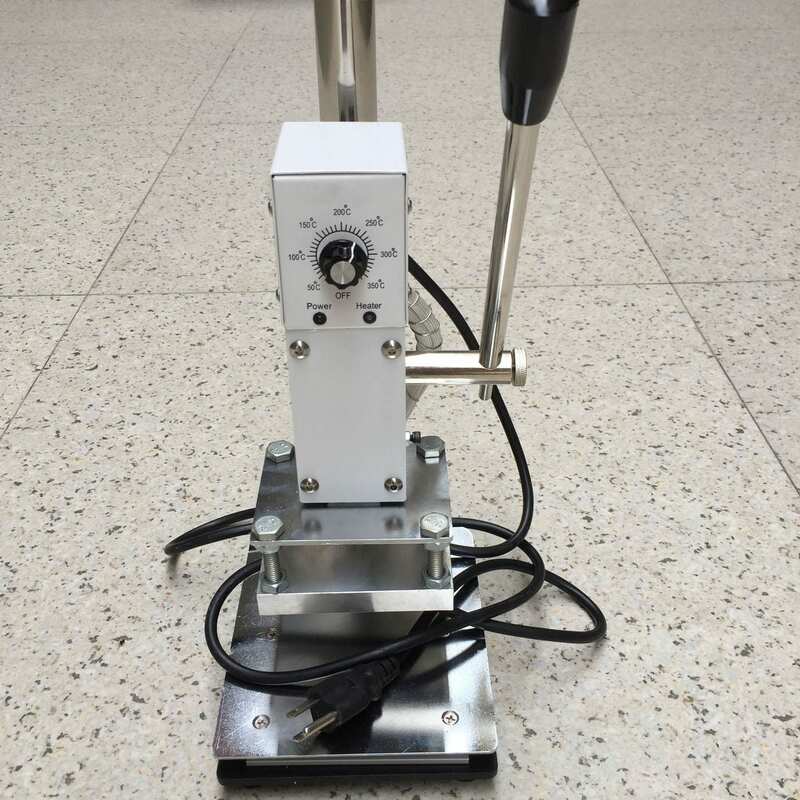 The warranty period for all products half a year, and during the period any product which has quality problems that are not caused by man-made factors, such as breakage, edge fracture and deformation, can be redone for free and related traffic expenses will be our treat. 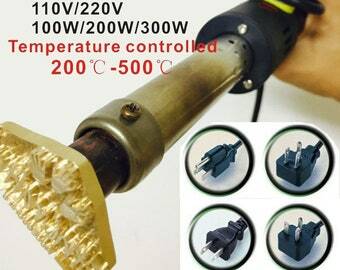 Electric soldering iron product has ever been burned down or cannot be used normally, this product can be maintained for free and also can be replaced. (Photos of the damaged product need to be provided for proof and also need to get our confirmation). Refund/Exchange for custom made items will only be accepted if it is due to defects in workmanship. Otherwise, all custom orders are final and no return/exchange is accepted. Unless otherwise stated, shipping charges in the listing are for registered air mail. It takes around 7-15 days to USA. Please enquire for other countries. If you’d like to go for express delivery, please note it in the order and we can bill you for the extra! consisting of 70% copper and 30% zinc.It is an ideal combination for fast and even heating. 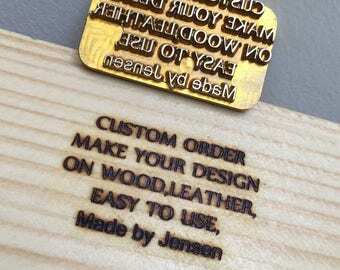 Custom orders definition: any personalization or customization, e.g. 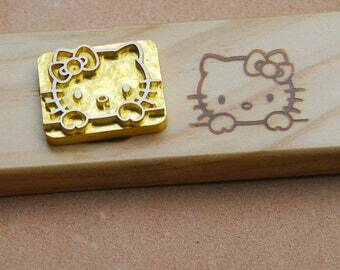 custom initial emboss, custom size, custom made stamps. We give tacit consent to provide positive and to produce behind the mirror; if it has a special purpose and need to be made into regular characters, you need to make a special statement. Just for the extra cost.